is an ideal point of reference for divers who want to dive all year round. the way you go in the water! Stay informed with our caledar, our activities go on all year round… we wait for you! 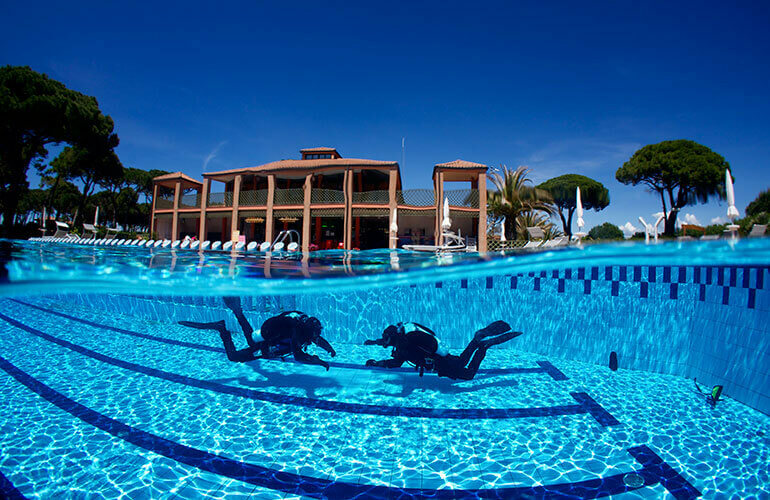 Argentario Divers, Resort Padi and UTD is located in Porto Ercole, a charming village dating back to the eleventh century, overlooking the Argentario Mountain. Where to start? The fact that Italy has more UNESCO World Heritage sites than any other country on the planet? That the food is tantalisingly close to perfection? Porto Ercole is easy to reach from Rome, Florence, Siena, e Perugia. ​The Centre is situated in front of the sea. It is open year round. DO YOU ALREADY HAVE A LICENCE? 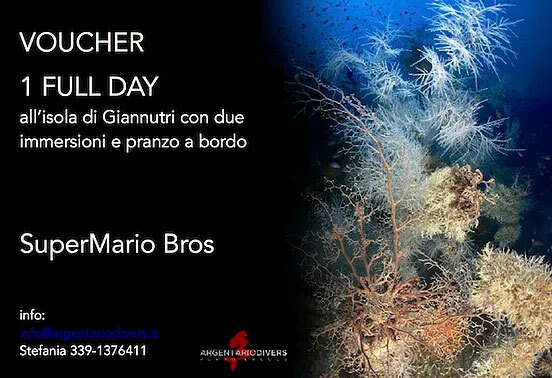 Discover the red coral of the coast of Argentario, the vertiginous walls of Giglio Island or the wrecks of Giannutri Island…there is something for everyone! DON’T YOU HAVE A LICENCE? 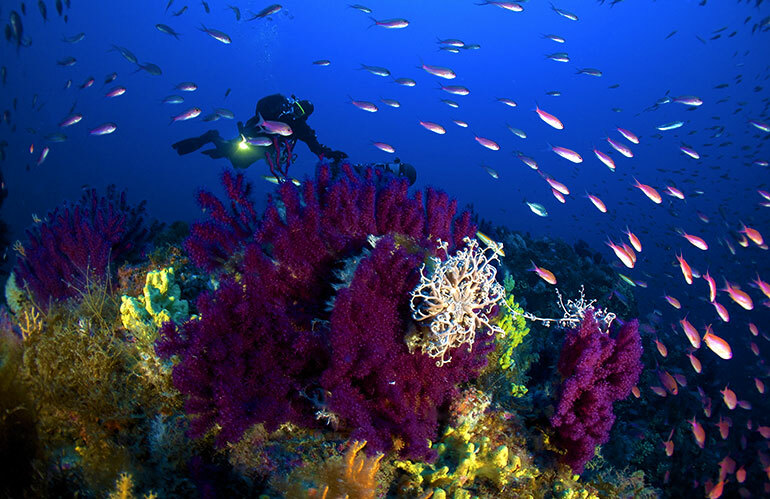 Do you want to specialize in underwater photography? 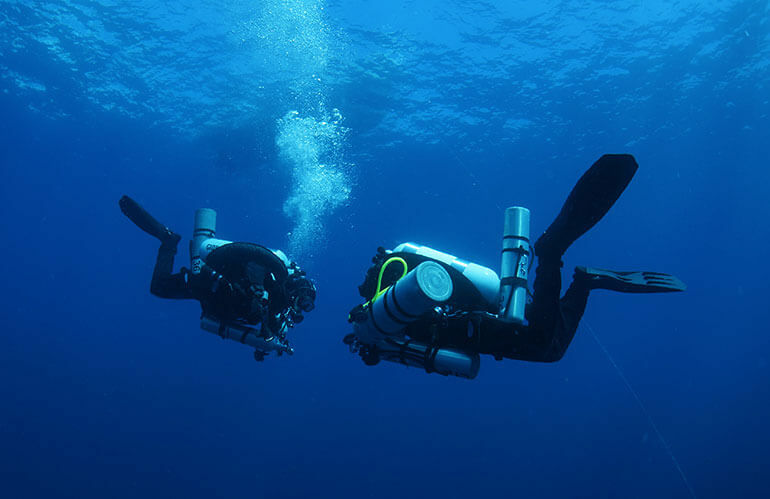 Are you intrigued by the rebreather world? Choose the best course for you! Technical Week is an annual meeting, and this year it will take place in Porto Ercole on June, from the 11th to the 17th. During this week the divers will have the chance to take part to many activities, as WORKSHOPS, evening PRESENTATIONS about explorations, expeditions, new projects, WORKOUTS for every level of license, to define your skills, technical equipment’ s tests (rebreather, DPV, drysuits, side mount, etc…), VIDEO AND PHOTO PROJECTIONS and obviously… technical dives! 5 Full Day in Giannutri and Giglio Island, or along the coast of Argentario, including breakfast, snack, lunch and open bar onboard. 5 nights in apartment with kitchen sharing, whites, air conditioning and private parking. The package includes: tanks, weights and guide.